Metta Institute® was established to provide education on spirituality in dying. Inspired by the Buddhist tradition we encourage the integration of the spiritual dimensions of living, dying and transformation, through professional training, educational programs and materials. Our Institute was formed in 2004 as an outgrowth of the Zen Hospice Project (ZHP), nationally recognized as a pioneering model in the movement to improve end-of life care. Our Director, Frank Ostaseski, helped form ZHP in 1987, and guided the program for 17 years. 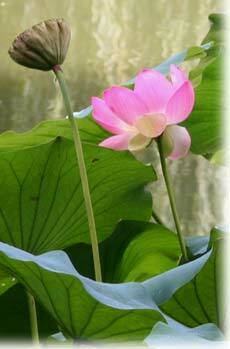 Currently, the Metta Institute's primary program is the End-of-Life Practitioner Program. The goal of the innovative training is to establish a national network of educators, advocates and guides for those facing life-threatening illness and the individuals and systems that serve them. METTA is an ancient Pali (Buddhist) term meaning loving-kindness, friendliness, benevolence and non-violence. It is a strong wish for the welfare and happiness of others. We chose it as our name because we believe it expresses the essential human quality that is most beneficial in the lives of those who are dying and their caregivers. Our faculty members are leading voices in re-visioning dying in America. We are advocates for reclaiming the soul in caregiving and restoring a life affirming and transformative relationship to dying. Metta Institute will gradually produce materials and programs offering an in-depth exploration of living and dying in America. We now provide information on workshops, presentations and retreats lead by Frank Ostaseski and educational programs featuring our core faculty. This website's Pressroom provides our published articles, current releases and expert resources for media. Our Resources section offers an audio series, recommended reading and media, up to date links to hospice resources, Buddhist practice, grief and loss support and End-of-Life related issues. Metta Institute is a federally approved 501c3 charitable non-profit corporation guided by a volunteer Board of Directors. Contributions to Metta Institute are fully tax deductible in accordance with IRS regulations.